Firefighters in Chile are called bomberos. 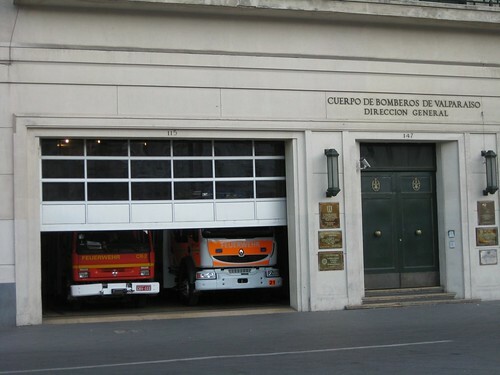 The Chilean people love the firefighters. In fact, they are more highly regarded and trusted than the police or other government services. This is partly due to the fact that there are no paid firefighters in Chile. Each firefighter serves without the promise of reward or payment. This altruistic labor seems to attract those that are most likely to serve the community well. Before firefighting companies were formed, fires would often burn entire blocks down to the ground. In answer to this great problem, communities started to organize forces to combat the fires. The first Chilean firefighting company was formed in the port city of Valparaíso in 1851. It was originally funded by wealthy merchantmen who brought equipment and supplies from their home countries. Thereafter, other companies started forming across Chile in a similar pattern. 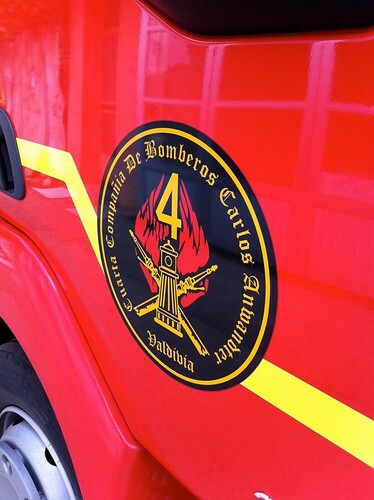 Unlike Carabineros, the Chilean national police force, there is no uniform national firefighting organization. Each region, city, or sub-section of the city has different firefighter companies. Many of these companies carry the names originally given them by the European colonists that formed them in the late 1800’s. These volunteer firefighter companies are responsible for the purchase and upkeep of their equipment, firehouses, and trucks. They must also pay for any training or new skills that they need. National government funding for the Chilean firefighters only accounts for 30% of their expenses. This puts the burden of financing efforts on the local government, community, and the volunteers themselves. How do you call the firefighters? In case of emergency, you can always use the national emergency phone numbers used in Chile. For the bomberos, dial 132. That is very interesting! Thanks for sharing. I LOVED this article about the firefighters in Chile. Many thanks. I also love your sponsor, Southern Chile Properties and recommend anyone looking at real estate in the south of Chile check them out! What a beautiful area! I’m looking for information about the Frequency of the radios the fire fighters in Copiapo use. A Captain and a Trainer in that department are relatives of mine and I’m trying to get them radios. As they are very limited in the equipment they have I have some spare radios that I would like to change the frequency on and give them a surprise. Any help would be appreciated, Thank you.